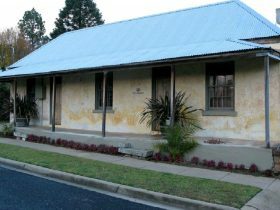 The Cobb and Co Boutique Hotel is a boutique accommodation venue, located right in the heart of Mudgee. 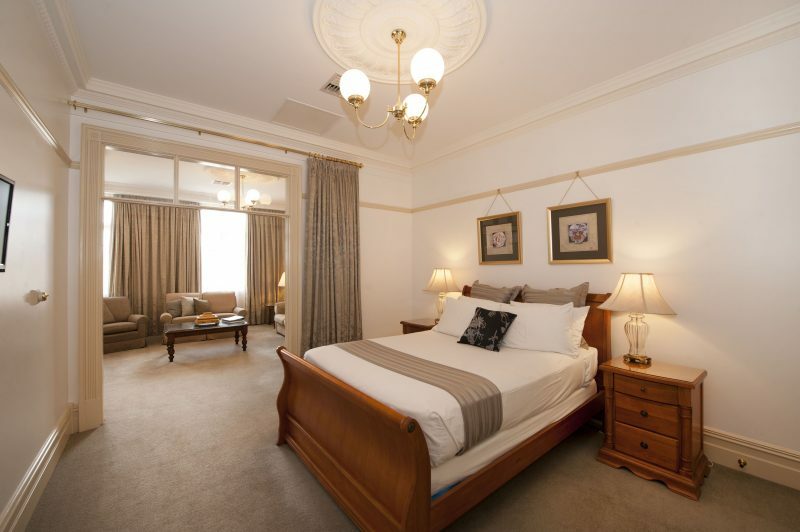 A superbly restored heritage building, it offers a variety of luxurious accommodation options appropriate to your needs. There are 14 beautifully appointed boutique hotel rooms as well as two fully self-contained luxury apartments. All of the rooms have one common ingredient – luxury! If you are looking for a luxurious, stylish room in the country, then look no further than this beautifully appointed two bedroom apartment. Perfect for any special occasion and is popular with bridal parties or newlyweds looking to indulge! The apartment is spacious and a great choice for families with a kitchen and washing facilities and great for couples travelling together. The two bedroom apartment features: spacious open plan luxury apartment, separate queen sized bedrooms with separate lounge room, large en suite bathroom with double headed shower and large spa bath, private balcony, kitchen facilities, washing facilities, reverse-cycle air-conditioning, free WiFi internet. 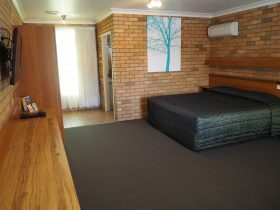 All double rooms have a double bed and are located upstairs. All double rooms feature: one double bed, en suite bathroom, tea/coffee making facilities, reverse-cycle air-conditioning, free WiFi internet. Queen rooms are all located upstairs looking down onto the alfresco courtyard and feature a luxurious large en suite bathroom all with baths. 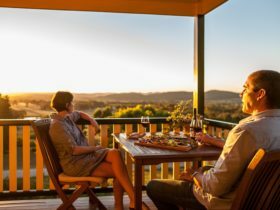 Perfect for couples looking for a touch of luxury on the country escape or the corporate traveller here on business. All queen rooms feature: one queen bed, en suite bathroom, tea/coffee making facilities, reverse-cycle air-conditioning, free WiFi internet. 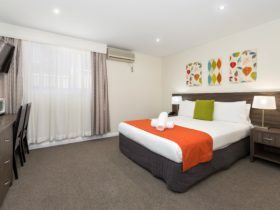 Junior queen rooms are a lovely choice for corporate travellers or couples looking for a comfortable, well-appointed room in the heart of Mudgee. 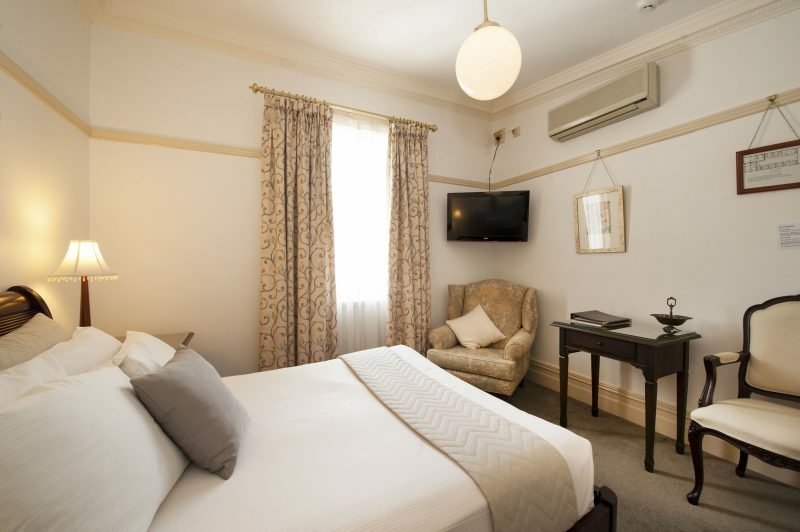 All junior queen rooms feature: one queen bed, en suite bathroom, tea/coffee making facilities, reverse-cycle air-conditioning, free WiFi internet. The Deluxe Queen room is perfect for a longer stay or special occasion with the added feature of a beautiful spa bath. The deluxe queen is perfect for couples with a spacious lounge area, positioned onto the alfresco courtyard area downstairs. A must if you are looking for a bit of luxury during your stay! The deluxe queen room features: separate room and lounge area, en suite bathroom with double headed shower, two person spa bath, ground floor access, tea/coffee making facilities, reverse-cycle air-conditioning, free WiFi internet. Superior queen rooms are perfect for special occasions or longer stays. Offering spacious accommodation with large bedroom and lounge area as well as a large en suite bathroom, the superior queen rooms they are perfect for a romantic getaway or the corporate traveller needing a little extra space while on business. 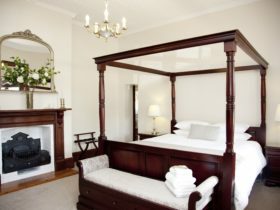 The superior queen room would also suit a young family with a sofa bed in each room. All superior queen rooms feature: one queen bed / sofa bed, lounge area, tea/coffee making facilities, reverse-cycle air-conditioning, free WiFi internet. If you are looking for a luxurious, stylish room in the county, then look no further than a beautifully appointed one bedroom apartment. Perfect for any special occasion, when you want only the best. The apartment is perfect for couples as well as people travelling with a family. The one bedroom apartment features: spacious open plan luxury apartment, master bedroom with separate lounge room, large en suite bathroom with double headed shower and large spa bath, kitchen facilities, washing facilities, reverse-cycle air-conditioning, free WiFi internet. 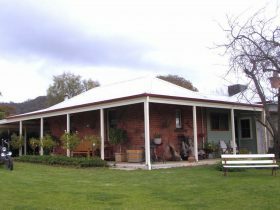 Your very own luxury home away from home in the country!